In the spirit of the First International Day of Happiness I want to share my favorite pin of the week, a free printable by Live Laugh Rowe. You can download the 8 X 10 version at her website. Please make sure you stop by and show her some love and appreciation for creating this wonderful print. I love this quote because I can personally relate to it. During my aha moment on happiness, I talk about how it was not until I had the courage to make up my mind about the type of life I wanted to live, that I started to see changes in my life and feel happy. 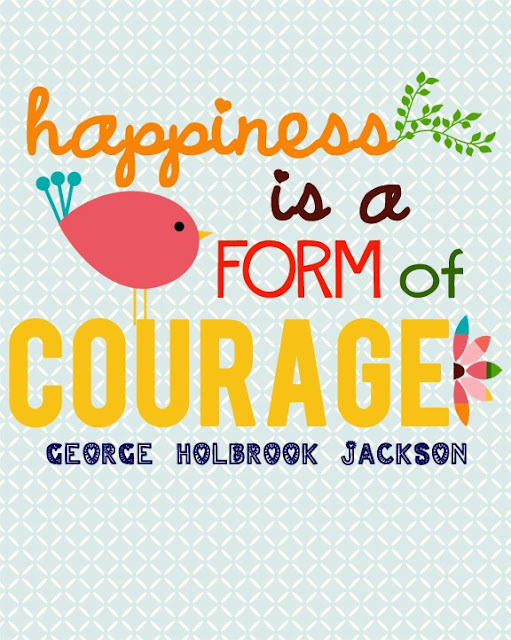 Courage my happy little bluebirds is the gateway to happiness. The happier you are the more courageous you'll be. And the more courageous you are the happier you'll be.